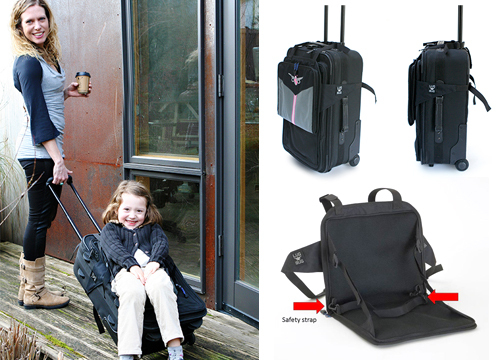 Lugabug Makes Traveling with Kids Easy! Like so many of us, Seattle-based Jennie Helman and her husband Jon are always improvising—juggling busy work schedules and parenthood as best they can. Mother-of-three Jennie is also on the road quite a bit—traveling the nation as the tutu wearing, rockin’ bass player for The Not-Its!, Seattle’s renowned kindie rock band. When possible, her family comes along for the fun, and while they love the family time and final destinations—rock star or not—when traveling with kids, the chaos of the actual journey can turn the start of an awesome trip upside-down. Luckily for the Helman family, dad Jon has an inventive side. 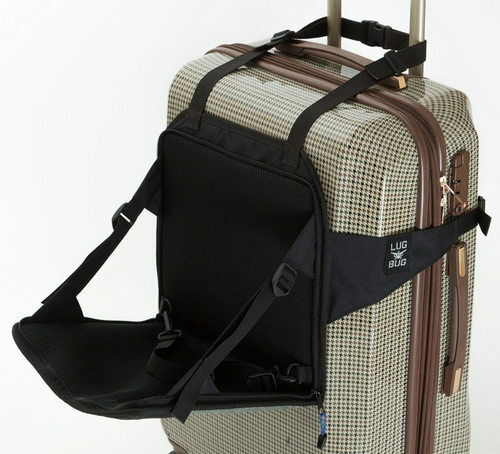 When he and Jennie finally had enough of navigating their way through airports with three small children and lots of luggage, they came up with a device to make it easier–Lugabug–a child’s travel chair that attaches to a rolling suitcase in seconds without taking up extra space. It’s a hit with their kids—and will be a hit with yours as well! Now, the dynamic duo is launching this “how did we travel with kids without this” product on Kickstarter. Lugabug adds an instant element of fun and adventure. Kids love it because they get to ride safely and comfortably without getting tired feet. Adults love it because Lugabug carries your kid for you. You know where they are at all times, and you have a free hand to carry extra bags, a coffee or nothing at all… making all the difference between calm and chaos. Lugabug is compact and lies flat against your suitcase, so there’s no need to remove it from your luggage when placing in an overhead compartment. 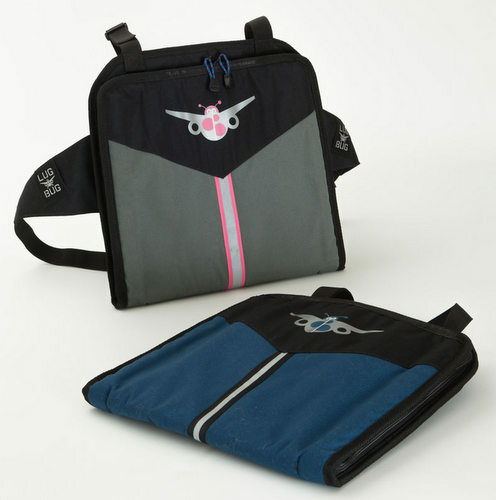 Not only is it stylish, Lugabug is versatile and can convert to a bag to carry a Kindle, iPad or magazine, or can be used as a stand-alone chair or sitting pad. 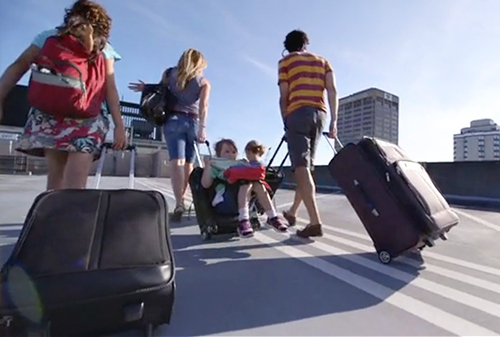 Lugubug makes traveling with kids a breeze!